On January 10, 2019, the SDF party announced in the national media that we would be implementing Universal Basic Income (UBI) in Sikkim by 2022. Following this, there has been an explosion of media coverage on UBI. It received coverage in all national media and even international media, including The Washington Post and The Strait Times. UBI is a basic income can be defined as a modest amount of money paid unconditionally to all individuals on a regular basis (for example, monthly). It is popularly known as Universal Basic Income because it is intended to pay all individuals regardless of income, with no spending conditions and no behavioural requirements. This non-withdrawable and non-repayable income are to provide basic income security to all, especially to the most insecure groups in society. 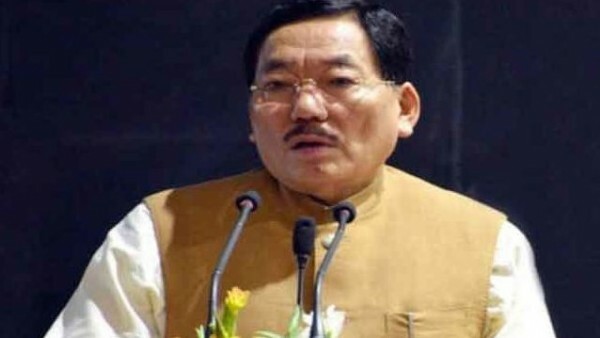 This vision was also reaffirmed by Sikkim Chief Minister Pawan Chamling in a press release on March 27, 2019. Bhaichung Bhutia also announced on March 26 that the opposition Hamro Sikkim Party (HSP) would also implement Universal Basic Income in Sikkim, calling it ‘Sikkim Samman Yojana’. However, it would only be for households where the monthly income is less than Rs 25,000. This is not ‘universal’ basic income, but targeted basic income. This is more aligned with Congress President Rahul Gandhi’s version of basic income guarantee or Nyunatam Aay Yojana (NYAY), which was announced by Congress on March 25 that the party would provide a minimum basic income to the poorest 20 per cent category. There are many criticisms associated with targeted basic income. The most salient of these is that it creates a fertile breeding ground for corruption since bureaucrats have the discretionary powers to either include or exclude people. The other is that it stigmatises the recipients who need to prove that they are eligible for support. However, the very logic behind SDF’s promise of UBI is that being universal and unconditional it overcomes these limitations and creates a transparent system of transferring cash to people directly at almost negligible administrative cost. Moreover, it doesn’t stigmatise the recipient. This is wholly driven by SDF’s pro-poor, youth-centric, sustainability-driven, ideology. Our version of UBI is different from what has been promised by Bhaichung Bhutia and Rahul Gandhi. Ours is not a yojana – yojana would mean that it comes with a fixed time period. Our version of UBI is aimed at serving Sikkim and its people for times to come. We aim to make it a sustainable system which can run beyond our years. Ours is an income – not a grant. Ours is truly universal – with no discrimination based on income, age, background, etc. With new technologies, robots, artificial intelligence, etc., a lot of jobs are evaporating. We believe that one way to secure the future of our youth is through UBI which promises a regular stipend. This would open up a lot of opportunities for our youth to make certain choices about their future – it would give them a secure financial cushion. This is why we have said that UBI is a youth-centric programme. It is in a way going to future-proof our youth. Bhutia in his press conference said that this scheme hasn’t been tried anywhere in India, however, UBI has already been implemented successfully in pilot projects in Madhya Pradesh and Gujarat. These are well-documented cases. UBI is not a new concept, but it is a concept which has taken the world by storm in recent years. Andy Wang, one of the contestants for the 2020 US presidential elections has already announced a UBI plan for the US. Therefore, UBI is not a new concept. This is a powerful idea which has the power to transform lives and make them more secure and to turn society into a more humane one. The time for UBI is now. UBI is, however, a giant leap of faith, as has been articulated by the CM. It will require a lot of government motivation and willpower to successfully implement this scheme. I believe an experienced and motivated party like SDF will be able to deliver on this. We are in touch with the leading thinkers on this issue and we have a protracted programme of consultation with the people of Sikkim. Through a participatory approach, we will make this work. We will be creating a Sikkim Dividend Fund (SDF) by an act of the state assembly. This dividend fund will be created as a corpus through which we will be able to make the payments without any hassle. In addition to the money from natural resources, revenue from other economic activities like tourism will be used to fund this programme. Some of the already institutionalised schemes may be subsumed into this. SDF has thought this through as a programme which will continue to serve the generations to come. Given that poverty in Sikkim is almost negligible, UBI will help in bringing equity and establish a common minimum floor for all Sikkimese people. For Bhutia’s HSP UBI is a poll promise; for SDF it comes from our ideological roots and is part of our youth-first programme. (PD Rai is an MP and a spokesperson for the ruling Sikkim Democratic Front party).